*When Wally Brine came to suburban Boston’s WVBF (105.7 Framingham) in 1981 and moved to mornings a year later, the wakeup airwaves in Boston belonged to names such as Jess Cain, Dave Maynard and Charles Laquidara. Partnered with Loren Owens, Brine outlasted all of them and many others, not to mention surviving through multiple incarnations of the 105.7 frequency itself, from “Electronic Mama” to “F105” to country WCLB/WKLB to today’s classic hits WROR. But after the Dec. 16 edition of the “Loren and Wally Show,” Brine will retire from the now-Beasley-owned station, ending a broadcast career that stretches back nearly 50 years. Wally Brine started in radio in 1968 at WPRO-FM (“I knew somebody,” he joked in his official bio), then continued at WGAN, WLOB and WJBQ-FM in Portland, MAINE before he came to WVBF in 1981. 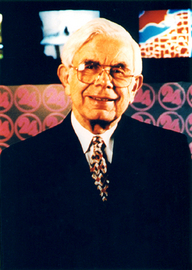 Once he and Owens joined forces, they became one of the Boston market’s most enduring morning teams. Among other honors, they were inducted into the MASSACHUSETTS Broadcasters Hall of Fame in 2013. Making the announcement just before Thanksgiving, Brine portrayed the decision to retire as being entirely his own, and the new Beasley management at WROR is honoring him with several weeks of on- and off-air celebrations. Behind the scenes, though, we’re hearing that budget cuts as Beasley took over from Greater Media may have been responsible in part for Brine’s retirement – was he asked to take a significant pay cut under the new owners? It appears the WROR morning show will continue with Owens and the rest of the cast, including Lauren Beckham Falcone, Hank Morse and producer Brian Bell. Cumulus hired Rivera in 2012 to host back-to-back local shows for WABC and KABC in Los Angeles, then swapped out his KABC shift for national syndication a few months later. The national syndication ended in early 2014, leaving Rivera as a (presumably) highly-paid local-only host, a tenuous situation at a company that’s been trying hard to cut costs at its local stations. *There’s a new permanent morning host at NEW JERSEY 101.5 (WKXW Trenton). With the sad announcement that Jim Gearhart’s recovery from a head injury and concussion is still ongoing and he won’t be able to return to the morning show, the Townsquare Media talker has named fill-in host Bill Spadea as Gearhart’s replacement. *A very happy birthday to one of the deans of PENNSYLVANIA broadcasting. Myron Jones turned 90 on Friday, and he’s still going strong long after selling off the Erie stations he founded, WJET radio and TV. It was back in 1951 when Jones put WJET on the air at 1570, followed by WHOT in Youngstown, Ohio and then by WJET-TV (Channel 24) in 1966. *Over the last few years, we’ve spent a lot of time chronicling the gradual disappearance of AM radio in CANADA. Since the CRTC began routinely allowing AM stations to migrate to the FM band more than a quarter-century ago, the AM band has fallen all but silent everywhere outside Canada’s biggest cities, leaving sizable communities such as Halifax, Moncton, Sherbrooke, Kingston and Sudbury with no AMs at all. But as the Canadian FM dial, once sparsely populated, has filled to bursting, broadcasters seeking dial space in a few of the largest Canadian cities are turning back to the AM band, and this week we can report on new AMs coming to both the Toronto and Montreal markets in the months to come, as well as a new format that’s about to make a big splash on the Canadian AM dial. In the Greater Toronto Area, the CRTC approved a brand-new facility last week: sports marketing agent Elliot Kerr (on behalf of a corporation to be incorporated) will get 2 kW days/280 watts at night on 960, serving Mississauga. That’s a frequency that has never before been used in Toronto, though it did see use 80 km to the west in Cambridge, where CFTJ/CIAM used 960 from 1977 until it moved to FM in 1998 (it’s now Corus’ CJDV 107.5). *If AM is staying alive in the Toronto area, it’s crawling back from near-death in Montreal. Over the last two decades, we’ve chronicled the demise of most of the mass-market AM signals that once dominated the field in Canada’s largest Francophone community: the Telemedia-Radiomutuel merger that silenced CJMS (1280) in 1994, the demise of CKLM (1570) the same year, the CBC/Radio-Canada moves to FM in 1999 that took away CBF (690) and CBM (940), the subsequent moves of CKVL (850) and CIQC (600) to the former CBC frequencies, the sudden silencing of those new 690 and 940 signals (now CINF and CINW) in early 2010, and then the equally sudden silencing of French-language sports on CKAC (730) earlier this year to clear the way for a provincially-subsidized all-traffic service. That left just a pair of English-language players keeping the AM band alive: Astral’s market-dominant CJAD (800) and Bell’s “TSN Radio” sports outlet, CKGM (990), along with a motley assemblage of smaller signals broadcasting to niche audiences. As of last week, that picture is about to change, and in a pretty dramatic way. The CRTC’s approval of three AM applications in Montreal not only promises more options for Anglo- and Francophone listeners, it also sets the stage for still more AM frequencies to come back into play in Montreal. *A station sale in upstate NEW YORK: EMF Broadcasting ended up with one station more than it needed to serve the Utica market, and now it’s unloading its original signal there. The station on 100.7 was WVVC when EMF bought it for $1.25 million back in 2001, and it spent most of the next decade as “K-Love” outlet WKVU before a flip last December moved K-Love and the WKVU calls to the much bigger 107.3 signal, at which point the smaller 100.7 facility became an “Air 1” outlet as WRCK. Now EMF is unloading the 100.7 facility – but not the WRCK calls or the tower site southeast of Utica – to Roser Communications Network, which will pay $425,000 for the 1.6 kW/623′ class A facility. Roser isn’t saying yet what its plans are for the new addition, which will join “Kiss” simulcast WSKS/WSKU, “Bug Country” WBGK and the WUTQ combination that includes two AMs (WUTQ 1550/WADR 1480) and an FM translator. Could 100.7 become the new WUTQ-FM? Who’ll replace Gary LaPierre on the morning news at WBZ (1030 Boston)? Former WOR (710 New York) morning anchor Ed Walsh, that’s who. Walsh has been working nights at WCBS (880 New York) for the last few months, and he’ll take over from the veteran LaPierre on January 1, 2007. Now WFKP is flipping again. Beginning December 25, it’ll be simulcasting yet another of Clear Channel’s Poughkeepsie-cluster FMs, market-leading country outlet WRWD-FM (107.3 Highland). But until then, it’s playing a nonstop diet of country Christmas tunes. Once it flips, WFKP will help extend WRWD’s reach into the Catskills to compete with Cumulus’ “Wolf” country WKXP (94.3 Kingston)/WZAD (97.3 Wurtsboro); we’d note, too, that WRWD-FM is already simulcasting in Ellenville on WRWD (1370), though the AM signal doesn’t reach down to Middletown as the FM does. *Our big headlines from MASSACHUSETTS this week are mostly TV-related, starting with the FCC’s approval of Tribune’s sale of CW affiliate WLVI (Channel 56) to Sunbeam Television, which already owns Boston’s NBC affiliate, WHDH-TV (Channel 7). Sunbeam has set a date – December 19 – for the launch of its own WHDH-produced 10 PM newscast on Channel 56, which means the current “Ten O’Clock News” will shut down sometime before that, putting a talented staff out of work just before Christmas. WHDH general manager Mike Carson tells the Herald that there may eventually be a morning newscast (again) on WLVI, but he won’t be around to oversee it. He’s retiring next July 1, handing the reins over to sales manager Randi Goldklank. Up in CANADA, Thanksgiving’s been over for weeks now, and the CRTC was open for business all last week, granting Corus its move off the AM dial across most of Quebec. CJRC (1150 Gatineau-Ottawa) will go to 104.7 (11 kW DA/95 m); CHLT (630 Sherbrooke) will move to 102.1 (23 kW DA/91 m); CHLN (550 Trois-Rivieres) will move to 106.9 (100 kW DA/87 m) and CKRS (590 Saguenay) will move to 98.3 (100 kW DA/148 m). With the closure last week of CKTS (900) in Sherbrooke, that city will have no AM station once the CHLT move is complete, while the CKRS move will silence the AM dial in the Saguenay region and the CHLN move will leave only relay station CKSM (1220 Shawinigan) on the air in the Mauricie region. We’ll start the rest of this holiday-shortened week in the one part of NERW territory where it wasn’t a holiday: CANADA. While those of us south of the border were gorging on turkey and stuffing, Corus was busy getting rid of Howard Stern’s last Canadian outpost. As of this morning (Nov. 26), Stern will be off Toronto’s Q107 (CILQ 107.1), which was the first station in Canada to pick him up back in September 1997. Why drop Stern now? Q107 managers tell the Toronto Star ratings weren’t a consideration, that it was simply time to refocus the station on the Toronto market. To that end, Q107 and its sister station “Mojo 640” (CFYI) will move this week from their studios on Yonge Street in North York downtown to the Hard Rock Cafe at Yonge and Dundas. 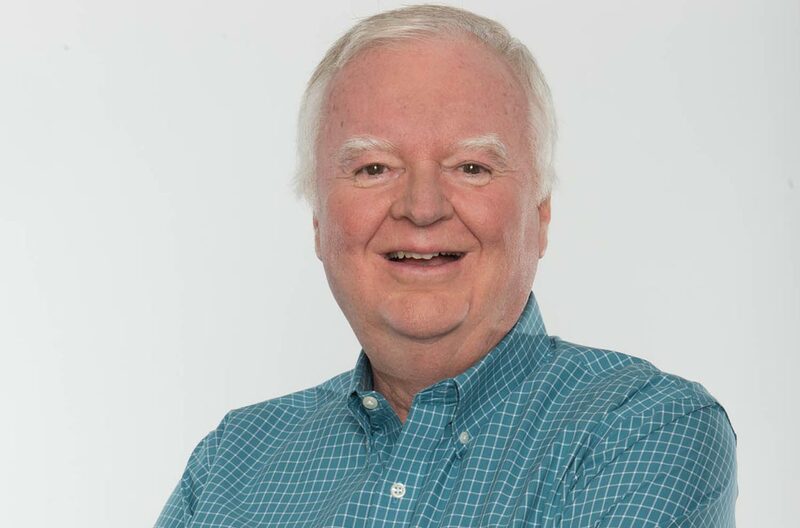 (If that happens to help Corus’ cost-cutting efforts, too, we wouldn’t be surprised…) Replacing Stern in mornings will be current Q107 afternoon jock (and former FAN 590 morning guy) John Derringer. As for Stern-heads in Toronto, they’ll have to point their antennas south to Buffalo’s WBUF (92.9), which continues to carry Howard. Boston’s business-radio station is raising a lot more questions than it’s answering with its public pronouncements this week. WBNW (590) has been the subject of repeated sale rumors over the last few weeks, and now station owner Back Bay Broadcasting has gone to the trouble and expense of hiring veteran Boston PR man George Regan to spread the word that “there will be no change of owner.” In an article in Saturday’s Boston Herald, Regan is quoted as saying, “as far as (Back Bay owner) Peter Ottmar is concerned, no one has an option on the station.” The very next paragraph begins by noting that Salem Communications has an option on WBNW. It also answers a question we’ve been puzzling over here at NERW headquarters: it seems Salem picked up the option on WBNW in the process of selling KDBX(FM) Banks-Portland, Oregon to American Radio Systems this fall. This is the first solid confirmation we’ve seen of the long-held speculation that ARS had an option to buy WBNW ever since the station went on the air in September 1994. Back to the denials: Regan tells the Herald that the departure of WBNW’s general manager, Peter Crawford, this week was a “mutual parting of the ways,” and he says October was WBNW’s most successful month yet. We’ll be keeping a very close ear on 590…at least as long as the station audio isn’t drowned out by all those denials. It’s the radio saga that just won’t end: Alexander Langer’s attempts to return two dark New England AMs to the airwaves. Last year, Langer bought WBIV (1060) in Natick, Mass., which had been off the air since selling its transmitter site and equipment to Douglas Broadcasting for the new WBPS (890) Dedham-Boston. Shortly thereafter, he picked up WRPT (1050) in Peterborough, NH, which has been off the air for about four years. Ever since then, we’ve seen application after application for different ways to put the stations back on the air, including a dismissed application earlier this year to move WRPT down to Foxboro, MA (a move of over 100 miles!) with a change of frequency and power, to 650kHz. Now Langer’s trying again. An article in Tuesday’s Middlesex News alerted NERW to his latest application, this time to move WRPT to Ashland, MA as a 250 watt daytimer on 650. The transmitter site being proposed is that of WKOX (1200) in nearby Framingham.